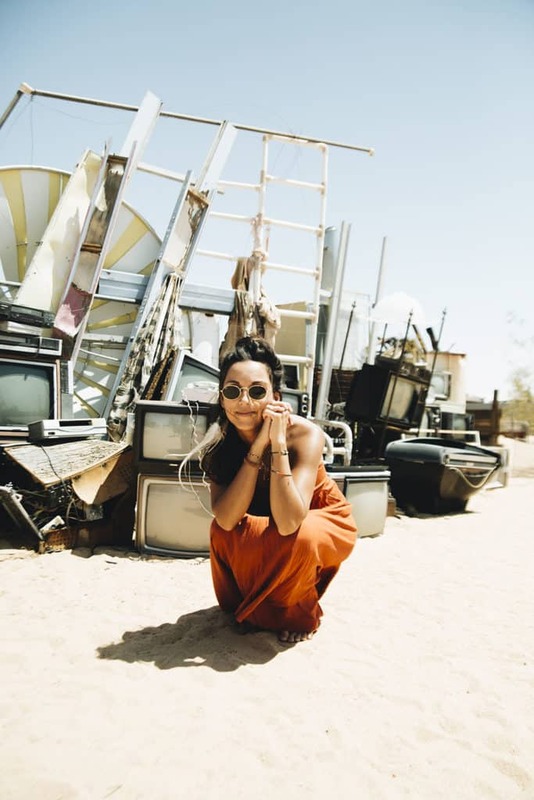 This is a guest post from Chrissi Hernandez, a lovely travel blogger (and talented Creative Director who has worked on projects for Sephora, Ipsy, and thredUP!) who lives in Southern California. She is a bit of an expert on the California desert. I was helping her out on a few blog things and invited her to share some of her Cali knowledge as I’m missing that the part of the world. 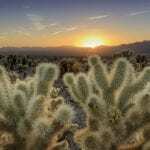 I loved my own trips to Joshua Tree and Borrego Springs and hunger for more! Enter Chrissi! P.S. She is a great photographer too, all photos in this post are hers! Joshua Tree National Park is a great place to hike and rock climb. 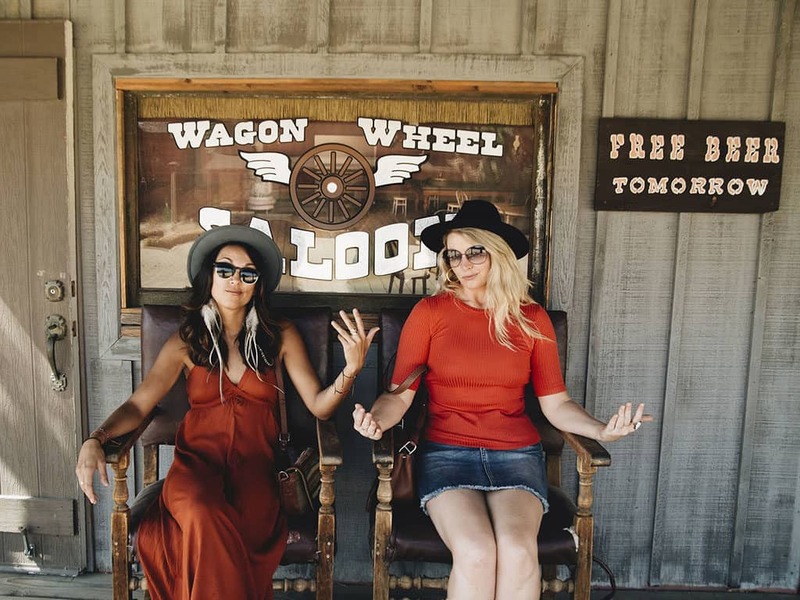 Joshua Tree city is a great place to explore art. Here are five unique destinations to stop in while you’re visiting the California high desert. 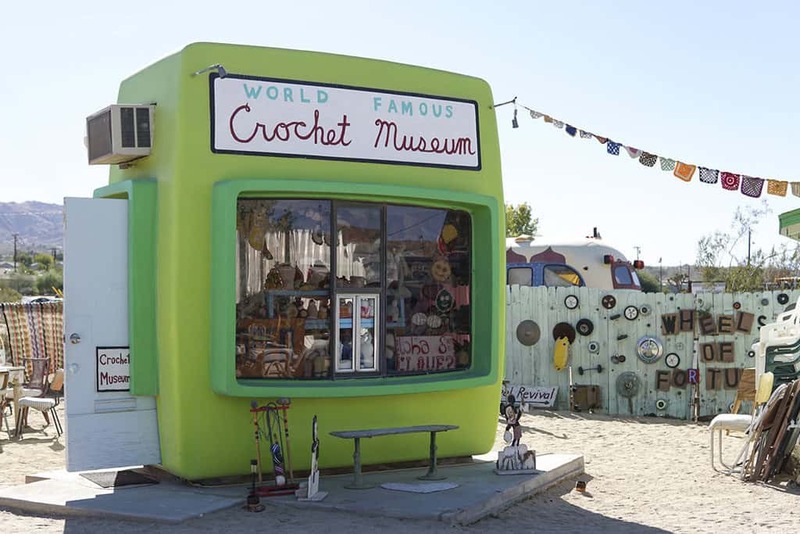 The World Famous Crochet Museum is a cute and quirky destination in downtown Joshua Tree. It’s bright green converted drive-thru photo stand that contains An eclectic assortment of crocheted animals & other creations. It’s a wonderful place to explore and the outdoor experience is just as wonderfully whimsical as the museum itself. Shari Elf, a local artist, has created a whimsical world of crochet, screen printed clothing, patches, and other forms of art. Note: Shari doesn’t actually make the crocheted creations, but is a collector of them. 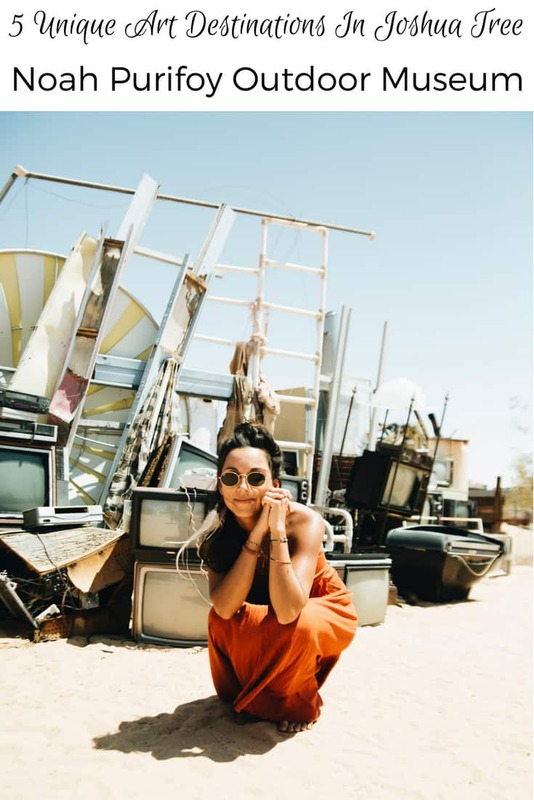 The Noah Purifoy Outdoor Museum in Joshua Tree, CA is open to the public every day of the year from sunup until sundown and is free of charge. 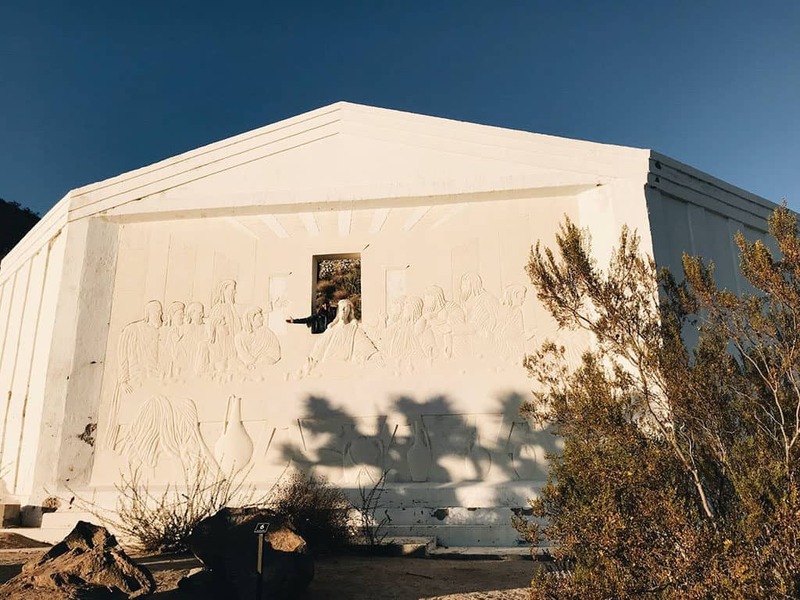 For the last 15 years of his life, Noah created ten acres full of art installations in the desert. 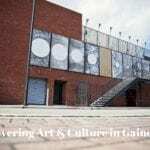 It’s a place where worn tires, box tv’s, and metal chairs are repurposed and given a new life as art. Everything is constructed from junked objects and materials. It’s a wonderland of waste! These cute metal dinosaurs are on the side of the road on highway 62. There’s a gold mom and baby Brontosaurus, and two toothy meat-eaters. 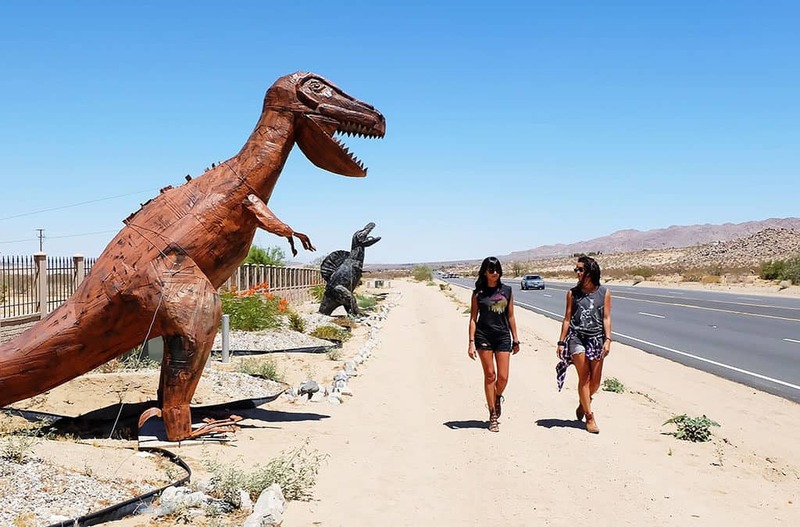 These dinosaurs were added in front of Desert View Homes business to attract attention, but I love the fun aesthetic of the artwork as your driving by, and they make for a fun roadside photo shoot. 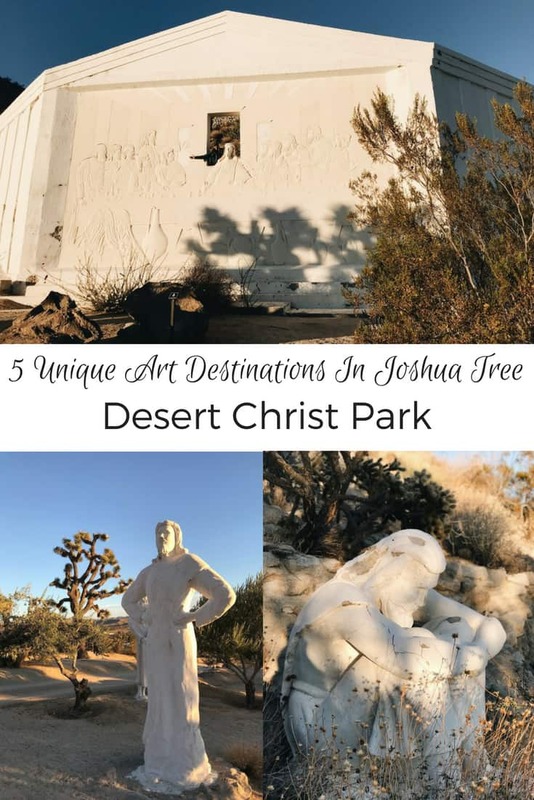 Desert Christ Park is a museum of sculptures located on the hillside of Yucca Valley. There are more than 40 large white biblical statues here sculpted by Frank Antone Martin. It’s a quiet and introspective place nestled among the desert landscape. The last supper relief above is gorgeous, and some of the statues in the park tower over 8 feet tall. This site has flown under the radar in the high desert, but it’s absolutely stunning and worth visiting. Tip: The park is open from dusk until dawn for all to come and see these works of art free of charge. 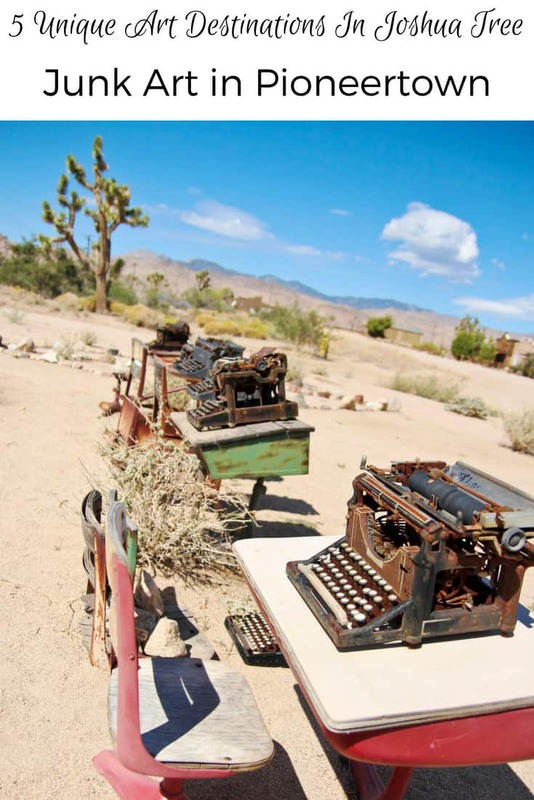 Pioneertown, near Joshua Tree, looks frozen in the old cowboy days of dust and tumbleweeds. If you walk down Main street past the western facades, there’s also a junked yard filled with oddities like children’s desks with old typewriters, vintage rusted cars, and a myriad of other junked items arranged in strange ways. How about you? Have you been to Joshua Tree? Have other suggestions to add? Do share! We’ve driven through Joshua Tree a number of times but never stopped. Can’t believe all the cool stuff we missed! I have never been to Joshua Tree. It looks like a spectacular place to visit! 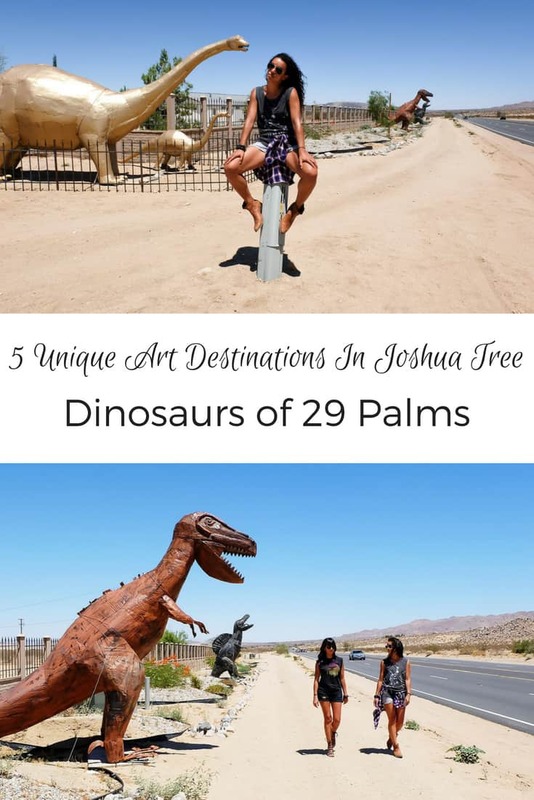 I’d love to visit the Desert Christ Park and Dinosaurs of 29 Palms. I live on the east coast, and I love finding all the quirky places to go. These sound like so much fun and I love Art in all of their forms. I would love to look at the junk art at Pioneertown! All of these look so fun and interesting! All of these places look like so much fun to explore! Beautiful and so much fun! Totally want to visit. I have never heard of Joshua Tree but, now I really want to go. What a beautiful and unique place. Thanks for the recco! I’m bookmarking. These are such iconic images. I have seen them in movies and shows repeatedly. How cool is it that you got to see it in person. 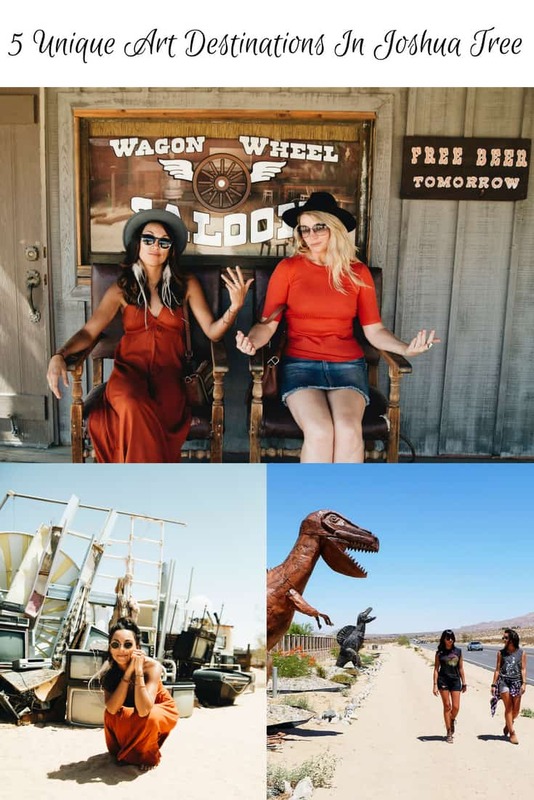 I have never been to Joshua Tree, but love quirky stops like this! I would love to see the crochet museum. I’m such a yarn nerd. These are cool places to visit! 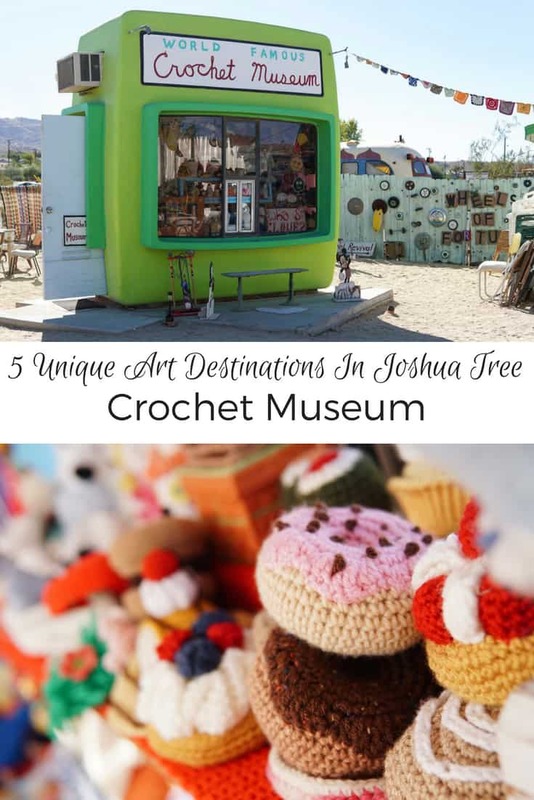 I’d love to see the crochet museum, I think I will enjoy the most there.